Our fantastic PTA, the Friends of Merton’s Young Musicians (FMYM), plays a vital role in MMF fundraising including running the Music Centre pop-up café; serving refreshments, running stalls and raffles at concerts; selling Royal Albert Hall sweatshirts; and hosting events like the sold-out Let Freedom Swing jazz concert. 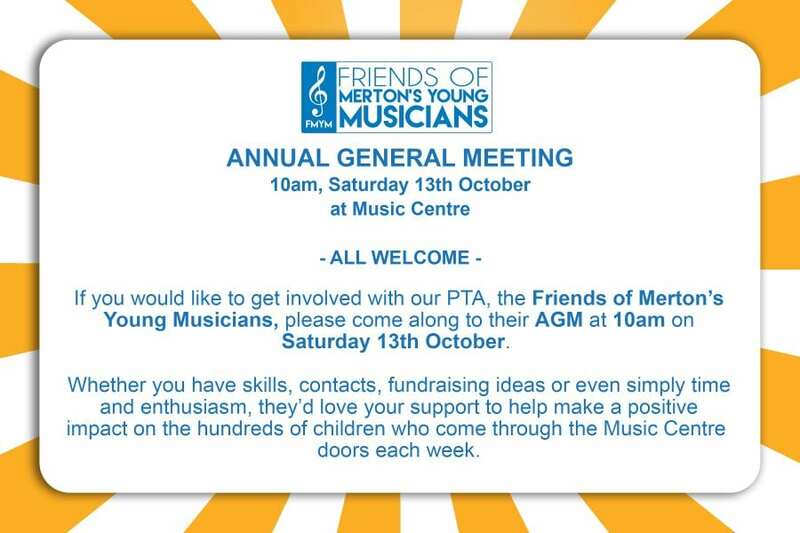 They’re always looking to recruit new helpers – whether it’s signing up for the café rota or helping with fundraising ideas so please join them for their AGM on Saturday 13th October. Over the last year they have been raising money for a new grand piano for Music Centre and, incredibly, are only a couple of hundred pounds off their target. Their Sponsor-a-Piano-Key scheme is one way you can support this campaign and help them reach their goal. For a minimum donation of £25 you can sponsor a piano key and your generosity will be acknowledged on the MMF website and in the first concert programme featuring the new piano. Please email fmym4mmf@gmail.com to find out which keys are still available and to arrange your sponsorship.